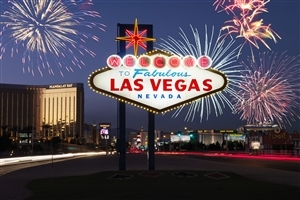 Discover the wonders of the west dotted throughout the landscape of the United States on this tour beginning with the neon of “The Entertainment Capital of the World”, Las Vegas and through to the glitz and allure of Los Angeles with all the beauty and culture of the areas in between. Enjoy a scenic gondola trip to the peak of Mammoth with views over California. Pose for brilliant photo opportunities at the iconic Las Vegas Welcome Sign. 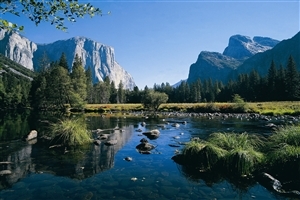 Explore the natural splendour of Yosemite National Park’s many landmarks. 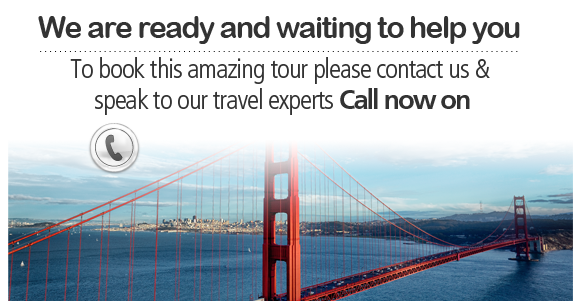 Discover the wonders of San Francisco on both day and night tours. See the glamorous districts of Los Angeles, from Beverly Hills to Hollywood. Arrive in Las Vegas and make your way from the airport to the hotel. Today you get to visit the iconic Las Vegas Welcome Sign for photo opportunities before leaving the glitz and neon behind for the still badlands of Death Valley. Stop at both Zabriskie Point and Furnace Creek Ranch as you cross the Sierra Nevada Mountains to the alpine resort of Mammoth Lakes, a once prominent gold mining town during the 19th Century and now a popular ski area. Start early for an optional scenic gondola trip to the peak of Mammoth, enjoying a breakfast as you look out over the gorgeous view of California from your lofty vantage point. Continue on through the Tioga Pass to the natural wonderland of Yosemite National Park, experiencing the beauty of the valley floor and its numerous highlights, including Half Dome, El Capitan and both Bridal and Yosemite Falls. *Please note that during the winter season, the Tioga Pass may be closed due to dangerous road condition, in which case you will spend the night in Fresno or Visalia, with a visit to Mammoth Lakes not possible. Head out early once again for a journey to the much loved San Francisco, known as “The Paris of the West”. On arrival, partake on an in-depth tour of the city before settling in to your hotel followed by an optional City by Night Tour. 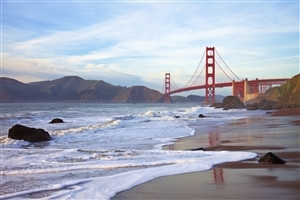 The day is yours to spend at your leisure to explore the cultural, sloping streets of San Fran, from riding a cable car to Fishermans Wharf to sample the local flavours on offer, strolling along Sea Lions Marina to watch the aquatic animals play, to visiting Union Square for a shopping expedition at Macys Department store. Be sure to catch a glimpse of Alcatraz Island across the bay, once a formidable prison, now one of the most well-known and historic landmarks of San Francisco. You may also join an optional wine tasting tour of Napa Valley and sample the local vintage. 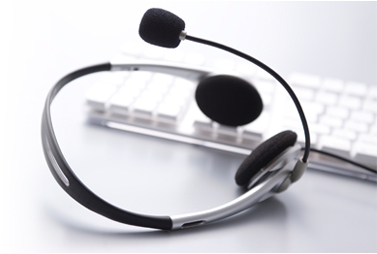 Whatever your decision, your tour director will be on hand to assist with any day planning. Leave the sights of San Francisco today for a drive over to the stunning beaches of the Monterey Peninsula. From here you can take a visit of Fishermans Wharf and Cannery Row before touring through the charming houses and art galleries of Carmel-by-the-Sea. 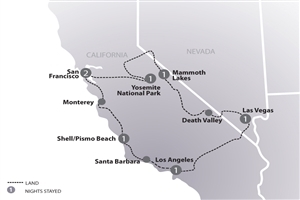 Your tour proceeds in the afternoon through Paso Robles, known for its fine wineries, before finally spending a night in a quaint coastal town. Travel south into the palm-lined walkways of coastal Santa Barbara, first passing through Santa Ynez Valley. On your arrival once more in The City of Angels, you will stop in Santa Monica, the finish line for the famed Route 66 from which you can enjoy a beach bike ride or have lunch on the pier. Your tour continues as you witness the glamorous sights of Hollywood and Beverly Hills before arriving at your hotel. Return to the glittery lights of Las Vegas via the Mojave Desert, where Joshua trees pepper the mountainous landscape and is home to the world’s tallest thermometer. On arrival in the city your tour comes to an end. **Winter Routing The Tioga Pass may be closed due to weather or road conditions, in which case you will overnight in Fresno or Visalia and a visit to Mammoth Lakes will not be possible (winter routing applies to all departures between October and May under normal snow conditions). 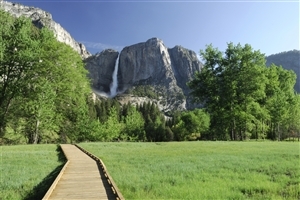 Sightseeing as detailed in the itinerary including admissions to all national parks.